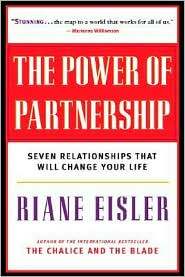 Dr. Eisler’s books paint a beautiful portrait of peace for our world today. Her organization, CPS, exists to build a culture of gender and racial equity, economic justice, and a sustainable environment. 3,000 Years of Love: The Life of Riane Eisler and David Loye — the story of our 30+ years of adventures together. Darwin’s Second Revolution — the first of David Loye’s trilogy, Darwin and the Battle for Human Survival, with nine pages of endorsements by leading scientists. The Warmest Place by Licia Rando — beautifully written and illustrated, conveying the most important message of all: what matters most is love. For pre-teen girls, a subscription to New Moon magazine — I have been giving it for years, and the girls (and parents) love it. For parents, you can download — for free — our acclaimed Caring and Connected Parenting Guide (also by Licia Rando) — endorsed by Dr. Brazelton, Dr. Siegel, as well as two Nobel peace laureates. The award-winning Tomorrow’s Children: A Blueprint for Partnership Education for the 21st Century (the book or DVD).